The conversi were the historical antecedents of the Cistercian Lay Brothers. In the Middle Ages, they came to the monastery as lay persons who were interested in living the Cistercian charism. Unlike the monks they lived with, however, they did not take vows and kept their status as a lay person. Today more and more lay persons feel a strong attraction to Cistercian monasteries and to the spiritual values and practices they find there. Like the conversi of old, they too are interested in living the Cistercian charism; unlike the conversi of old, they seek to live this lifestyle in the world. 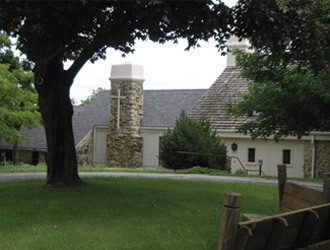 The Associates of the Iowa Cistercians have developed the Conversi Program for persons who are unable to attend regular AIC meetings because of distance constraints, family responsibilities, work schedules or other reasons, but are looking for information, resources and support to assist them in applying Cistercian values and practices to their lives outside the monastery. The goal of Conversi is to encourage and support persons in learning about and applying monastic values and practices in their everyday life in the world. Informational resources including transcripts of talks presented at monthly AIC meetings; and reviews and recommendations of books and articles about monastic values and practices. Links to other sites where additional information can be obtained. Participants will also have the opportunity to participate in an annual retreat at New Melleray Abbey with other members of the Conversi community.